Measuring smog and particulates, report ranks Baltimore air pollution among worst in U.S.
Baltimore’s air quality came in among the 10 worst U.S. metropolitan areas in a new study that looked at elevated ozone and particulate levels. 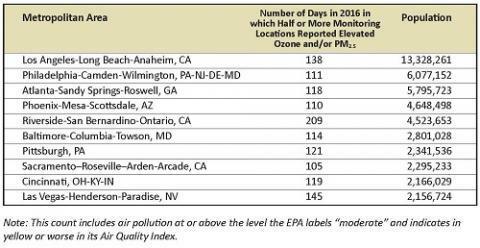 About 2.8 million people in the Baltimore region experienced 114 days in which half or more of air quality monitoring stations measured “moderate” or worse in 2016 for ozone and/or particulates. Air pollution at these levels, indicated as yellow or worse in the Environmental Protection Agency’s Air Quality Index, increases the risk of adverse health impacts. Particulate pollution can cause similar respiratory harm and also trigger a range of cardiovascular problems, including heart attacks, strokes, congestive heart failure, and reduced blood supply to the heart. The findings come at a time when the Trump administration prepares to weaken air quality standards across the board. The Baltimore ranking signifies air quality worse than such cities as New York, Chicago, Houston, Detroit, Miami, Boston and Phoenix. Even the D.C.-Arlington-Alexandria area, with 84 bad air days, ranked better than metro Baltimore. 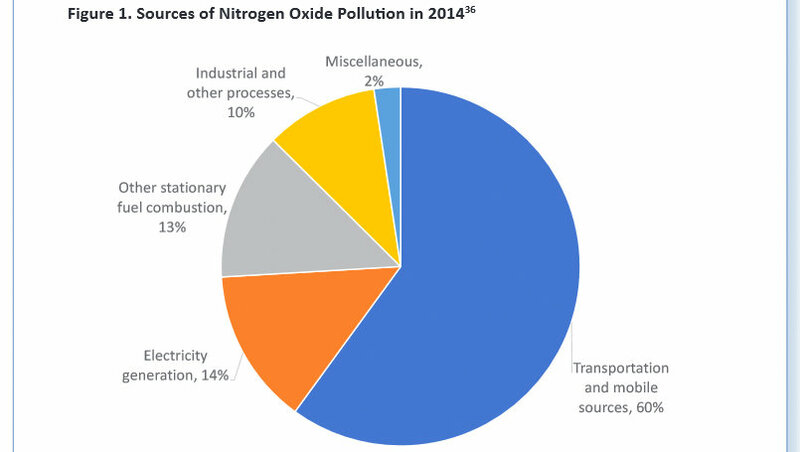 The data comes as part of a report by the Baltimore-based nonprofit that looked at air quality nationally. Seventy-three million Americans live in those places, the report said. The findings come at a time when the Trump administration prepares to weaken the federal clean car standards, a critical program to cut global warming emissions and increase fuel efficiency. Just this week, EPA Administrator Scott Pruitt announced the agency will review the federal ozone standard, a standard he sued to stop when he was Oklahoma’s attorney general. 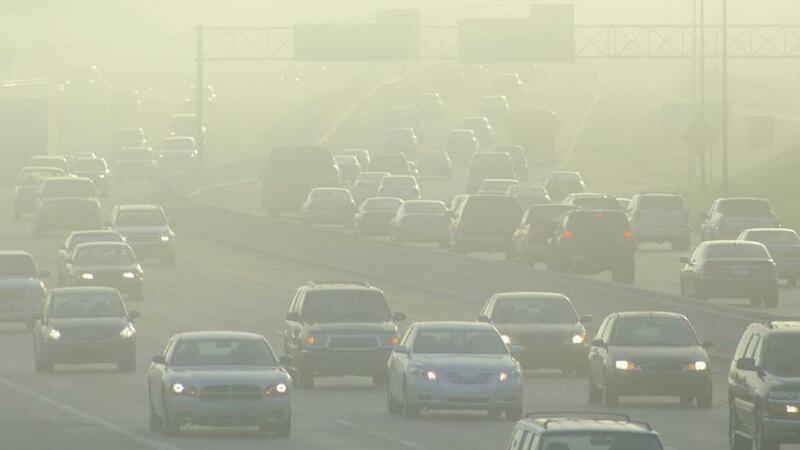 The report’s authors call on the federal government to strengthen, not weaken, the clean car standards and continue to allow states to adopt stronger vehicle pollution standards. • Defend and build on improvements in air quality achieved through rules implementing the Clean Air Act. • Strengthen federal fuel economy standards for cars and light trucks. • Support policies at every level of government to reduce global warming pollution, including increased use of wind, solar and other clean energy, and placing state and regional limits on climate pollution. The report also called on Maryland to support and strengthen the Regional Greenhouse Gas Initiative (RGGI), an agreement among nine Northeast and mid-Atlantic states to limit carbon pollution from power plants.